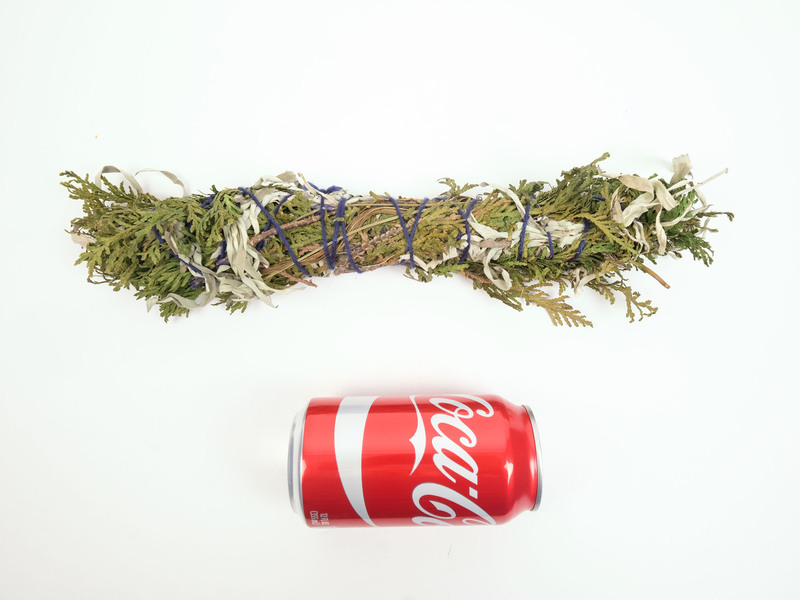 See a 4-Directions bundle with a soda can. 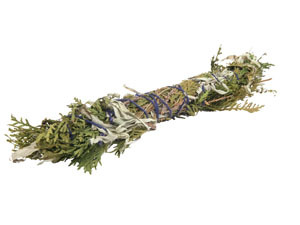 Create ready-to-use smudge pots using these smudging materials. The Smudging Materials & Card package includes a small assortment of traditional smudging materials - sage (burned to drive out ill feelings or influences), cedar (burned to cleanse while praying aloud or silently), and sweetgrass (frequently burned after sage or cedar to bring in positive influences and energies) - and an accompanying card describing the smudging ceremony. 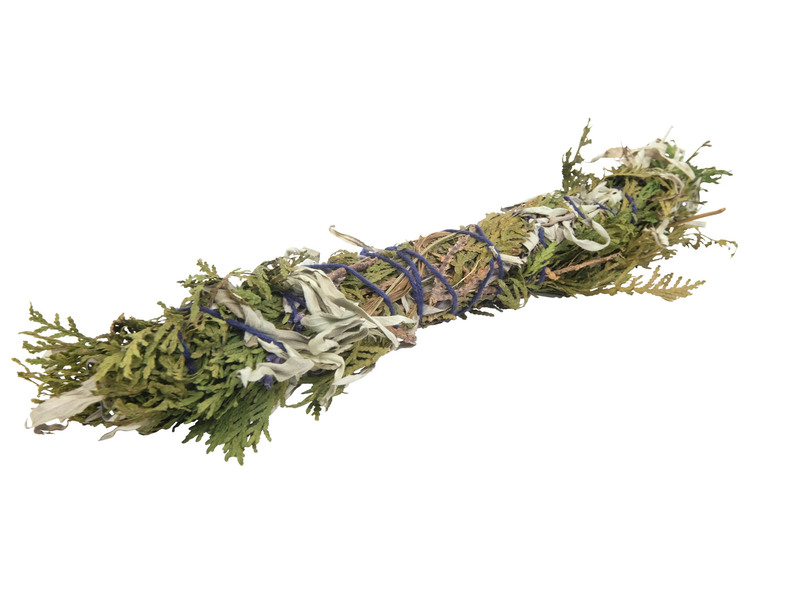 The 3-Sisters Bundles are comprised of sage, cedar, and sweetgrass, herbs commonly used in Native American smudging ceremonies. They are approximately 18" to 22" long and 2.5" wide. Each bundle weighs approximately 0.18 lbs. 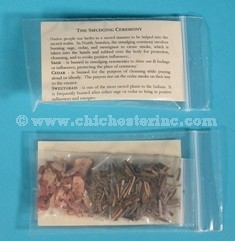 The 4-Directions Bundles are comprised of blue sage, cedar, sweetgrass, and lavender, herbs commonly used in Native American smudging ceremonies. There are no export controls for these items. They are not for human consumption.